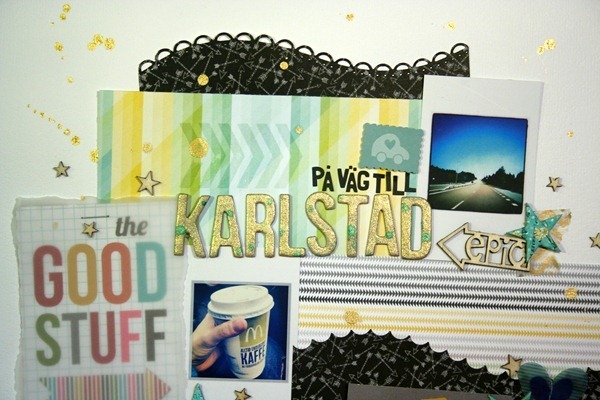 Here is one of my layouts made in Karlstad. It’s also about my wayt to Karlstad the last time I went. I really like this layout because it’s fun and colorful. 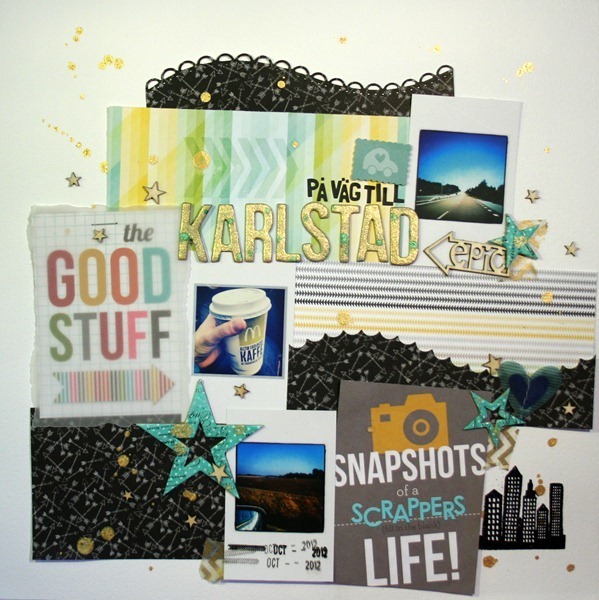 There is some gold splatter all over and I got to borrow some gold chevron washi. 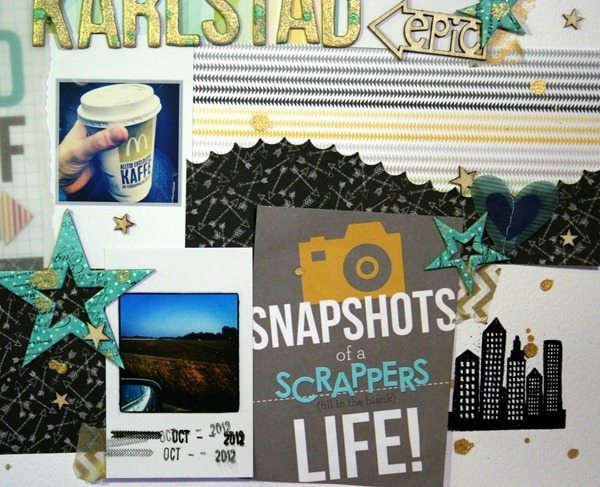 I hade a lot of fun making it and it was nice to document the road to the crop. I never ever remember to take pictures when there but these will do. The road to Karlstad is a part of my trips, I kind of like driving and listening to audiobooks while eating way too much candy and drinking coffey :) It clears the head!